The video of two rodents running over burger buns at the Burger King on Rt. 202 was posted on Facebook Thursday. A Burger King in Wilmington, Delaware was closed after rodents were spotted running over Burger buns in a viral video. 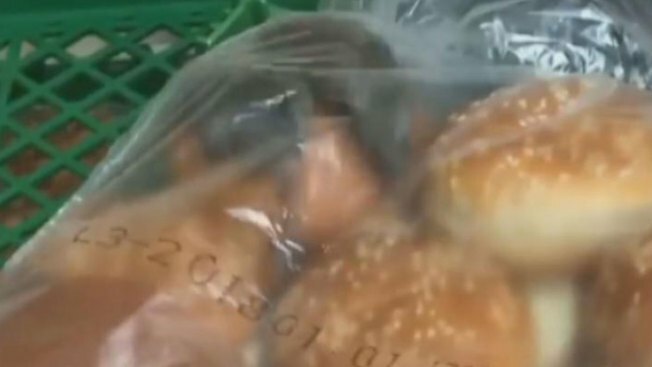 A viral video showing mice or rats running through a bag full of burger buns led to the shutdown of a Wilmington, Delaware Burger King. The video of two rodents running over burger buns at the Burger King on Rt. 202 was posted on Facebook Thursday. The Division of Public Health Office of Food Protection (OFP) then received a complaint as well as the video the next day. OFP inspectors responded to the Burger King for an inspection. They then ordered the Burger King to be closed immediately due to unsanitary conditions. During the inspection, mouse droppings were found inside hamburger and chicken sandwich rolls, on the floor, near the water heater, near soda boxes and behind fryers. The inspector also found plastic that appeared to be chewed through by mice, a leaking ceiling in the kitchen and flies. The Delaware Department of Health and Social Services sent a Cease and Desist letter and required a re-inspection for the Burger King to reopen. A spokesperson with the Delaware Department of Health and Social Services did not confirm whether the Burger King reopened. The restaurant appeared to be open Monday night when SkyForce10 was over the scene however.